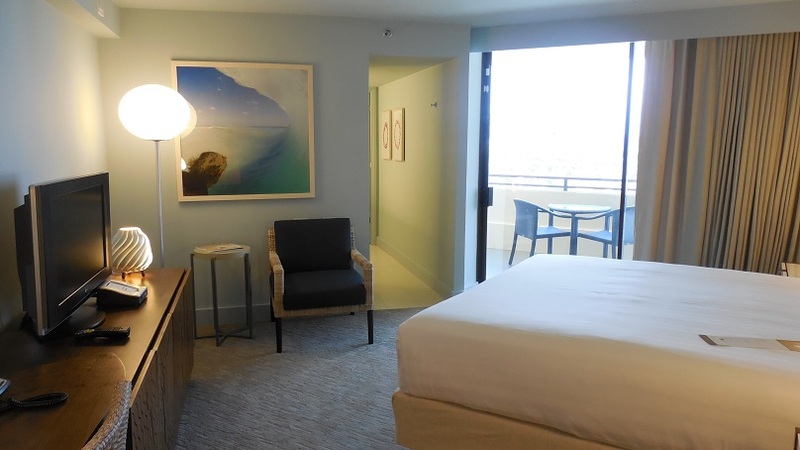 Hyatt Regency Waikiki Renovation – Waikiki on the Island of Hawaii | | Nan, Inc.
Nan, Inc. has successfully completed a major renovation at the Hyatt Regency Waikiki Beach Resort and Spa. 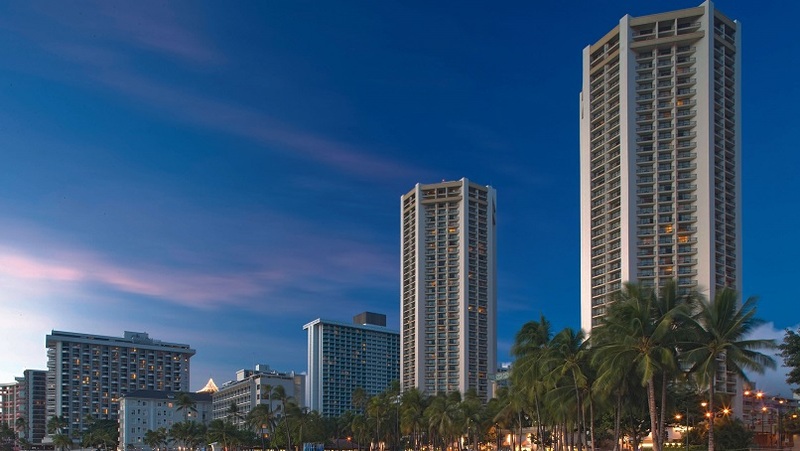 Located on Kalakaua Avenue across from the world famous Duke Kahanamoku statue, the Hyatt is one of Waikiki’s premiere destinations. Nan, Inc.’s work began when the hotel’s ownership asked us to construct three guestroom models. A trial run of sorts. 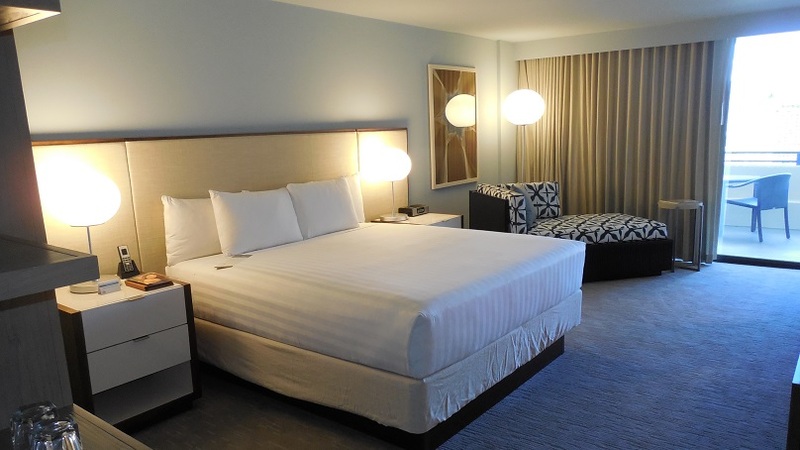 The Hyatt’s ownership noted our craftsmanship, quality and attention to detail as we transformed the model rooms. Having passed the test, Nan, Inc. was awarded the $34.5 million contract to remodel and renovate 1221 guest rooms. 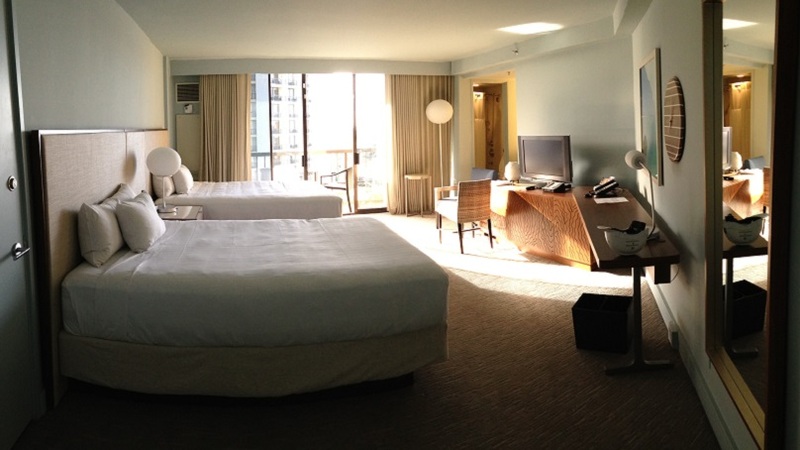 The Hyatt Regency Waikiki Beach Resort and Spa Guestroom Renovation began in July 2014, and our expert team rose to the challenge of making drastic changes while the resort stayed open and fully operational. Only seven of the resort’s 70 floors were out of service at any given time. The Nan, Inc. team renovated two floors per week. That’s 36 rooms at a time with just seven days turnaround! And these renovations were complex, requiring pinpoint precision. Our crews rerouted data and electrical lines inside concrete walls, they installed new tubs and new tub plumbing. The work also included new drywall, tile, paint and carpet. A total of 59 rooms were redesigned to comply with the Americans with Disabilities Act. And six walls had to be relocated on each floor. When it comes to the guest experience, what really took this renovation to the next level came courtesy of our expert finish work. Nan, Inc. installed fully-cladded bathroom walls with Mincey Marble, synthetic stone countertops, concealed fire sprinkler heads, custom plumbing fixtures and accessories, large wall-mounted 55” flat-screen TVs, and Toto washlet toilet seats. The project wrapped up in April 2015, less than 10 months after it started. 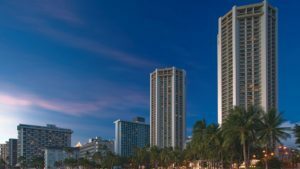 On the heels of the successful renovation project, Nan, Inc. was tapped to help the Hyatt Regency Waikiki repair the significant damage caused by a large drain pipe that burst during a storm. Nan, Inc. crews repaired the Shor Restaurant, including lighting, drywall, fire sprinklers and paint. Our team finished the restaurant’s walls and ceilings in less than one month’s time to meet the Resort’s schedule. Nan, Inc. also repaired meeting rooms in the Resort’s basement, completing 5300 square feet meeting space in just one month’s time. The meeting room work included walls, bathrooms, tile, carpet, painting and redesigned ceilings. Lastly, our team repaired 30,000 square feet of water damaged ceilings on three different floors. The work included drywall, scaffolding and painting in areas with hotel guests in close proximity. The $8.6 million contract started in October 2015 and successfully wrapped up in August 2016.